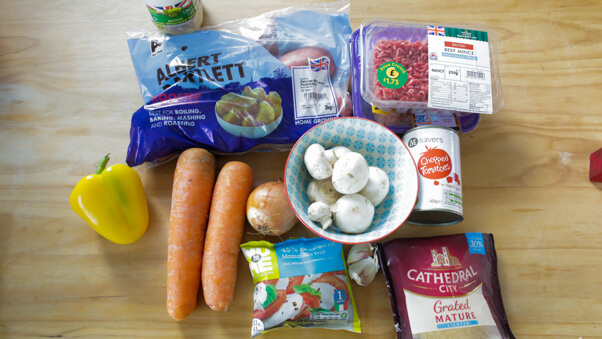 I can't actually take the full credit for this recipe because it was my darling mum who came up with it first but I picked up some special ingredients to cut down on the fat and introduced some extra veggies into the mix. 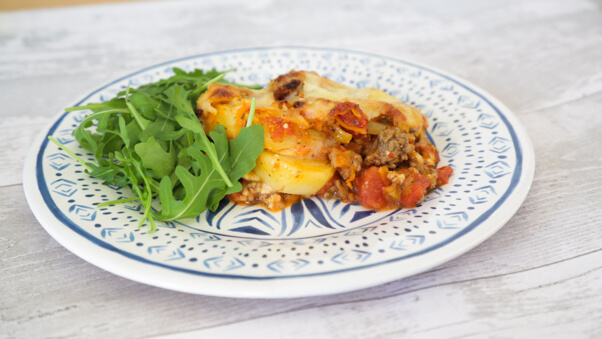 If you're looking for the perfect comfort meal this autumn and winter you are at the right place! 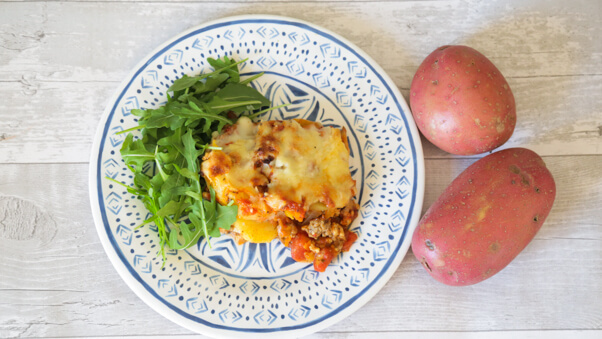 This Potato Lasagne is gluten free, lower in fat and bursting with delicious flavour. Before publishing this recipe I made it for some friends to see what they thought and all three of them loved it! Heat a large frying pan until hot and add the mince. Cook the mince until browned all over. Crush the garlic and add to the mince (if you haven't got a crusher, chop it finely). 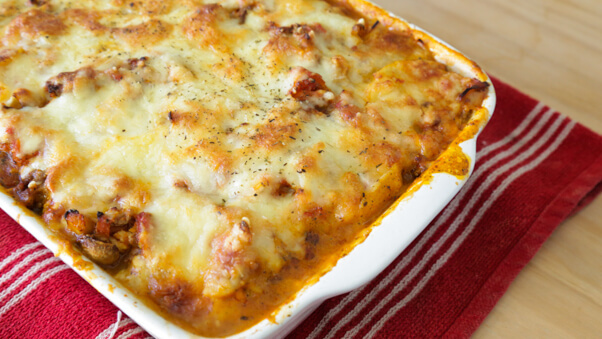 In a shallow oven proof dish put one fourth of the meat sauce in the base. Spoon one fourth of the cheese sauce on top. Arrange the first layer of potatoes on top. Add third of the remaining meat ragu sauce on top followed by a third of cheese sauce. Put another layer of potatoes for another layer. Then add the remaining meat sauce and cheese sauce. 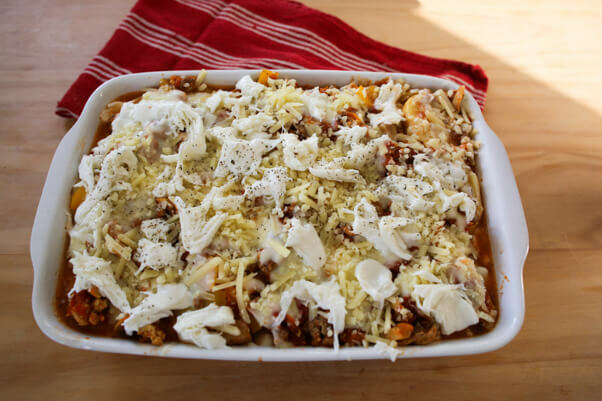 Evenly sprinkle the cheddar and distribute the mozzarella cheese on top. Cook in the oven for about 1.45 minutes or until the potatoes feel soft. Serve rocket leaves with a drizzle of oliver oil as a side salad. The lasagne should look golden brown in colour when it's done. 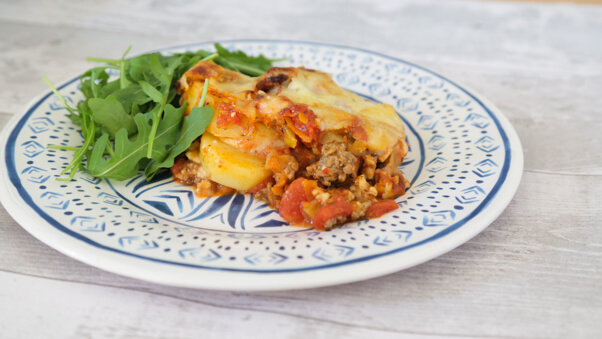 This recipe should serve 5 good sized portions so either invite some family and friends over or simply freeze the leftovers for a delicious comfort meal which you can reheat. 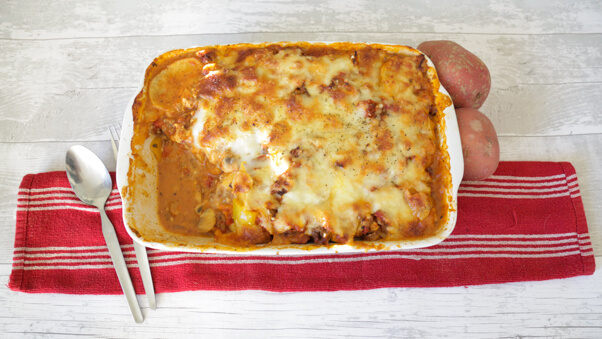 For the Potato Lasagne I have used Albert Bartlett Rooster potatoes* which crisp up fantastically in the oven and because they are considered a dryer potato they also have a really tender texture. I have to be honest was under the impression that potatoes were mostly empty carbs and I was very wrong! After doing some research I've learned that potatoes are a brilliant source of potassium (more than bananas! ), vitamin c, fibre, manganese and more. Along with the rest of the ingredients this comforting recipe is not only absolutely delicious it's also good for you! 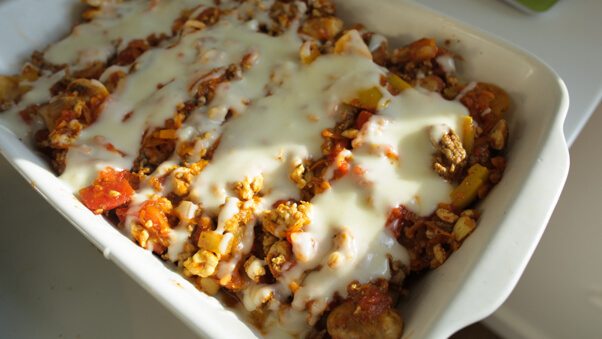 I really hope enjoy this recipe and please share it with your family and friends.